From the outset the college had affiliation for Commerce, Science and Arts with pass and Honours courses in Commerce from 1961. 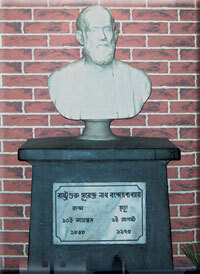 In the year 1996, the University of Kolkata affiliated Honows in Bengali. The introduction of Computer Science, Electronic Science and especially Electronic Equipment Maintenance (Vocational) at degree level in 1998-99 and Honours in Marketing in Commerce stream in 2004-05 has been an important step towards making this college a model evening college. It is a matter of pride that Electronic Equipment Maintenance was introduced in this college for the first time in the entire Eastern region of India. Besides, the University of Calcutta affiliated Honours in Electronic Science, English, Hindi and Urdu. Very recently the university has affiliated Geography in general course. Our college is recognized by the UGC U/S 2f and 12B. Its parent body is the University of Calcutta and a Governing Body governs it. The college admits students irrespective of caste, creed and religion and teaches through the medium of English and Bengali according to the syllabus laid by the University of Calcutta. The college has affiliation for Bachelor study Honours in English, Bengali, Sociology and Commerce. It has Bachelor study in Library Science (BLIS) after graduation one year duration. Besides. the college has affiliation for Master Degree study in English, Bengali, Sociology, English Language Teaching, History, political science, Mathematics, Education, Master of Social Work, Public Administration and Commerce. It has Master Degree in Library Science (MLIS) after BLIS one year duration.